Now, I have not used the robot, but neither my son nor my daughter had any interest in the robot set because the gameplay didn’t seem too compelling to either of them. They pretty much thought if they wanted a robot game it’s better to play something else like a Transformers game instead. 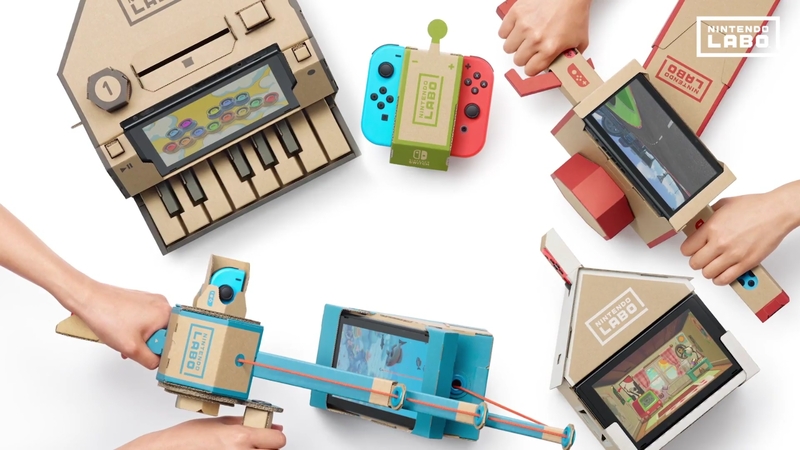 For this article, I’ll center in on the Labo Variety Set. Will your kid like it? I’ve heard folks wonder what age group is this for. Personally, I think you are better off asking what your kids currently enjoy and can manage first. Does your child like origami? Do they have fun with Lego kits and enjoy following instructions for making paper crafts? The reason I ask this is because this part of the set is rather involved. If your child doesn’t like crafting, then ask if they like Lego sets. Do you end up putting the Lego sets together, or does the child do it themselves? Those are the real questions you need to think about. I’ll use my kids as an example. My daughter, age 10, loves art projects and uses crafts all the time. However, she has almost zero interest in Lego sets or following instructions from a printed sheet like a model kit. She also uses computers or tablets, but only for games and YouTube. My son, age 11, likes to draw a bit, but generally dislikes art projects. He lives and breathes Lego sets and has seldom needed assistance since he was seven years old. He uses the PC all the time, as well as a tablet, for just about everything and constantly gets into the settings to see how things work, which has resulted in a few system crashes over the years. My son turned 11 earlier this year and we thought the Labo set would be the perfect gift for his birthday. I was a little concerned that the mini games would be too kiddie, as he is slowly growing out of some of the simpler games he used to play. On his birthday, everything became clear to me as he basically stopped cold and sat down to craft like crazy. It took him the entire afternoon, but he made all the cardboard paper craft items without much fuss. For younger kids, you may want to think how well your child handles instructions because it is not exactly easy, and he did need some packing tape to fix a few wrong bends and cuts. It varies from kid to kid, but I’d likely say age 9 on up is best for some sort of age group unless you feel like doing it all yourself…for hours. Now, you may be wondering how this all works with the Nintendo Switch. 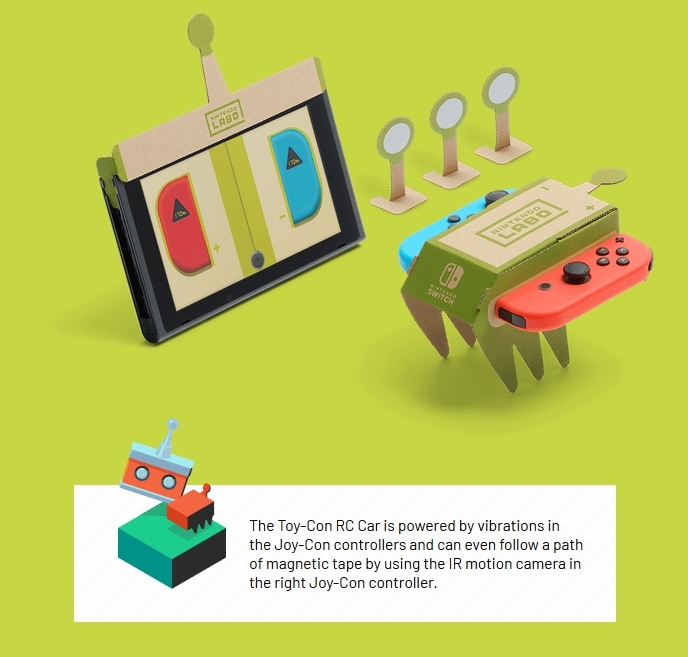 Once you make your papercraft toys by following the instruction sheets provided in the kit, you can slot in your Switch console and the Joy-Cons to create some interactivity. The Joy-Cons, or video game controllers for those who haven’t the slightest idea what I am talking about, have these neat effects in the them such as a very detailed rumble and an IR sensor that detects motion or reflections of light. These features enable the user to program some simple commands via the game to make some neat interactions. That’s not to say that the game programming is easy, I don’t think many kids below age 9 would have a firm grasp of what to do unless they have been exposed to programming already and it is second nature to them. When it was all set and done, he had a nice variety of things to play with in the Variety Set and I have to admit, I think it’s the most versatile of the sets offered. Still, everything was made of cardboard with little stickers and hand drawings. I just wasn’t sure these toys would last the day to be honest, and within a few hours we already saw a few of them start to fall apart. Undaunted, my son went about fixing them with tape and making sure the parts could still rotate. Here is a summary of what we made with the kit and how well it went. The Piano. Honestly, this got the least amount of play as touching the keys made of cardboard felt just weird and shoddy. It utilizes the IR sensor to detect when you depress the makeshift keyboard. You can compose your own songs, but is terrible feeling and I’d rather just use a real keyboard. The Motorcycle. The kids played with this for a good while and still occasionally play with it, but it’s nowhere near as fun as playing it with Mario Kart 8. So, even though it has it’s own game section to drive your own papercraft motorcycle on a racetrack, it’s sort of a one trick pony that just doesn’t stack up to a real kart racing game. Also, even when you use it in MK8, the controls don’t feel particularly awesome. I have to note, we’ve gotten the Vehicle Kit for Christmas and my son seriously likes that a lot more. Yet, that kit is also quite limited in it’s own regard. The House. By far, this got the most play time with the kids and they take it out once a month to play with it again. You make this very interactive sort of playhouse that has a crank, a button, and a knob. You activate those three things to basically make a cuddly creature inside the house go through different stages of, well…animal cruelty. You can also change the house to do things like act like a microwave or play some mini games like slingshot bowling. There are a lot of mini games involved, so expect this part of the kit to get the most attention and they will likely play with this almost exclusively for a few days. The Fishing rod. This fishing simulator is actually pretty relaxing and you get to fish for some fairly exotic types of sea creatures like stingrays. This still makes its way into the living room every few months and is great for a quick little party game with small kids as the controls are intuitive, yet the game is challenging enough to keep a child’s attention. You can even add your own fish. The RC Car. You’d think this would be something we’d play with more often. You can use this skinny cardboard legs and the rumble feature to make some self-propelling little…cars, if that is what you can call them. I thought they looked more like cardboard spiders, personally, and they move soooo slow. He could not make it go as fast as in the commercial. The kids just didn’t have the patience to figure out fun things to do with this and gave up. I have mixed feelings. 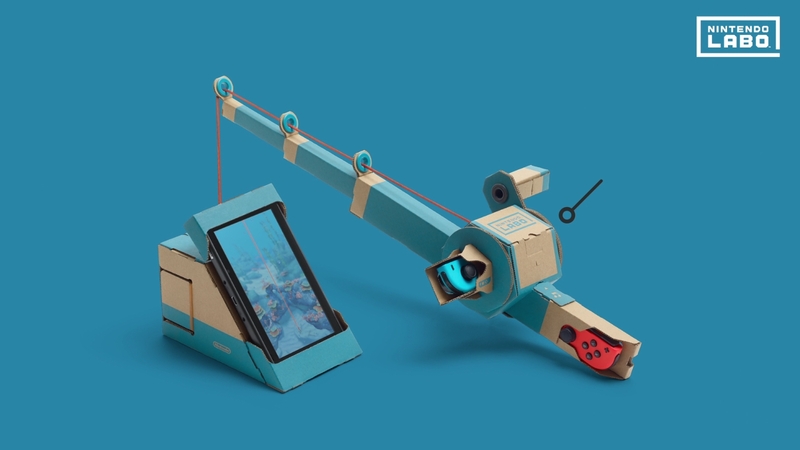 Ultimately, the kids still enjoy the kit and my son likes to look up community made items using the Labo programming on YouTube. So, he’s getting the most out of it. Personally, I felt it only kept their attention for a very short while and the cardboard papercraft items are HUGE. Its takes up his entire desk, so he’s had to put them in his bookcase until he decides what to do with them. Also, it’s really best to have two sets of Joy-Cons in order to play and the Switch only comes with one set. This means you will need to pay about $60 or more to get another set if you want more co-op play involved with multiple kids. Lastly, there is not much replay value here. Kids don’t mind, but adults will likely get bored silly after the first playthrough. 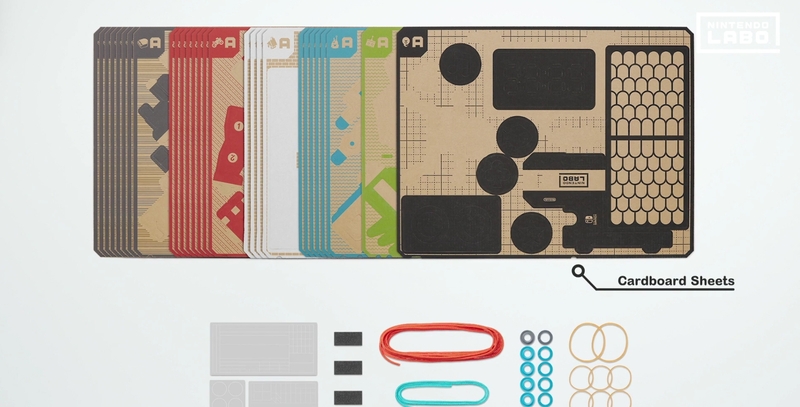 The weirdest things about the Nintendo Labo Variety Kit was that the mini-games are oriented towards very young kids and yet the act of putting them together and programming them requires at least a 9- year old mentality. So, unless you plan on doing the whole kit YOURSELF ( and I’m talking several hrs here ), don’t buy this kit. Get the kit for a kid ( or adult who is young at heart! ) who enjoys crafting and putting things together like LEGO kits. 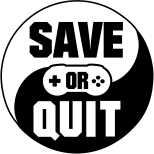 Otherwise, you may be wasting your money and are better off getting Smash Bros. Ultimate or something.